Attorney James P. Welsh became an Associate with the Firm in September, 2013. 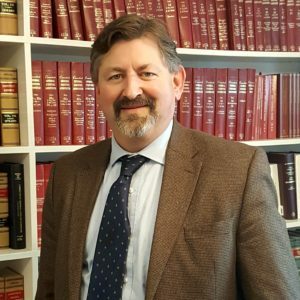 He is a native of Windsor and received his Bachelor’s Degree from Southern Connecticut State University, his Juris Doctor Degree from the University of Connecticut School of Law, and a Master’s Degree in Public Policy Studies from Trinity College. Prior to joining the Firm, James served as an Assistant Attorney General, Special Assistant Attorney General, and Legal Director of the Department of Developmental Services. Over a thirty-two year career with the State of Connecticut, he represented numerous agencies in the areas of administrative law, probate, and federal civil rights litigation. He also served as a state Ethics Liaison Officer and as a member of the Town of Windsor Ethics Committee. James’ areas of expertise include Elder, Disability, and Administrative Law. Copyright © 2019 O’Malley, Deneen, Leary, Messina & Oswecki. All Rights Reserved. The Matheson Theme by bavotasan.com.